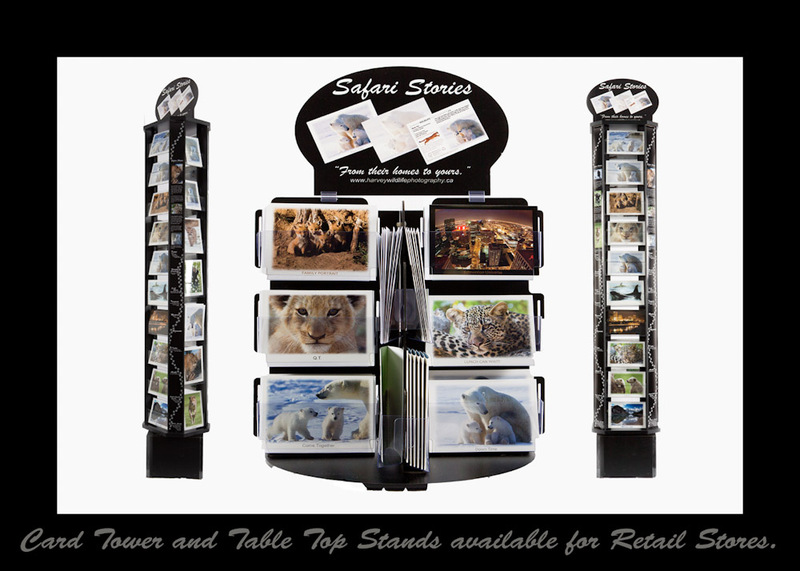 Greeting Card Racks, Available for retail stores. I have two greeting card racks available for retail stores. The one in the middle is a table top rack and holds 200 cards. The Floor spinner can hold over 600 4x6 and 5x7 cards in total. Contact greg@harveywildlifephotography.ca for more details on carrying Harvey Wildlife Photography greeting cards in your store. Harvey Wildlife Photography Greeting cards tell a story. The format includes a picture on the front, a watermark picture on the inside and a third picture on the back with a story of where the pictures were taken and something interesting about the subject or sequence of pictures on the card. All greeting cards are made with recycled paper and vegetable dye ink.